“Feeling gloomy? There’s nothing quite like an invigorating swim to put you in a good mood, especially with the open sky above you. Simon Murie, founder of specialist swimming holiday operator SwimTrek, talks us through London’s best spots for an al fresco dip,” says The Good Times, a magazine designed to have steered us through the (official!) most depressing day of the year, Jan 16th. The Good Times is The Church of London’s (a Shoreditch-based creative agency) response to the January blues and the result of a week-long project to write, design and print a one-off newspaper which celebrated only good news.TCoL rallied writers, designers and illustrators together to produce a newspaper which exclusively featured ‘good news’ stories. Copies were distributed in London and available direct from the TCoL office on Leonard Street in east London. 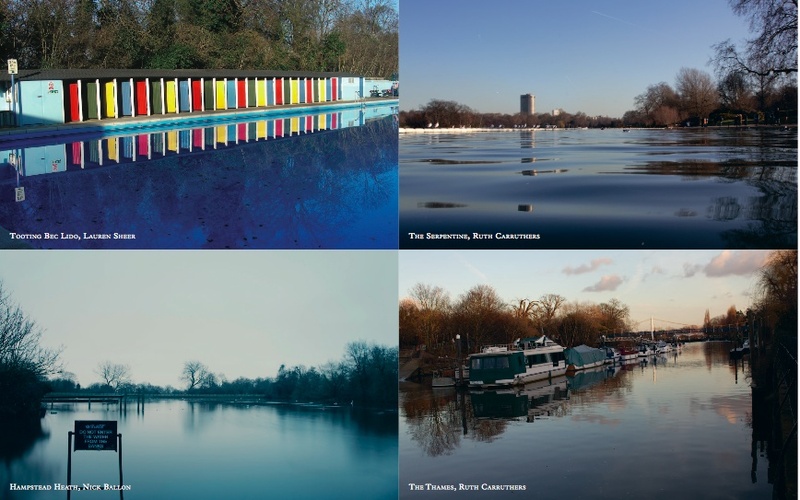 And seeing Tooting Bec Lido, The Serpentine, Hampstead Heath Lake, and London Fields Lido being written about as a natural antidote to the trials and tribulations that January did put a smile on my face. There is a link to the full text in the picture above. Enjoy!